Slack airing a commercial during halftime of the World Cup game that I'm intently watching because I can't work because Slack is down is high comedy. 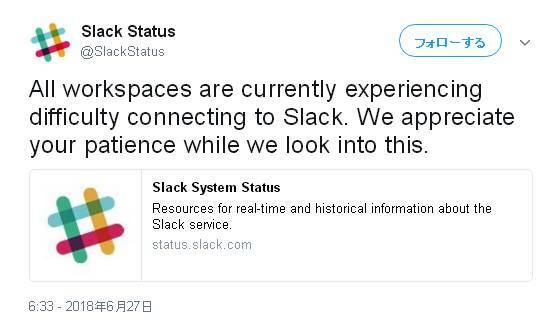 Slack is down, and people are actually talking to each other. It's like 2005 all over again.